In the world of sports watches, it can be difficult to strike a balance between durability and class. 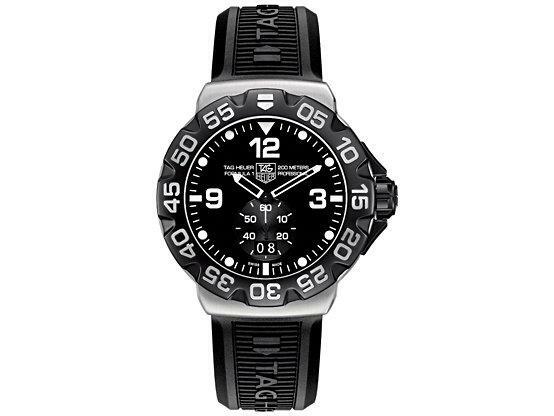 Tag Heuer has been at the forefront of quality watch making since 1860. 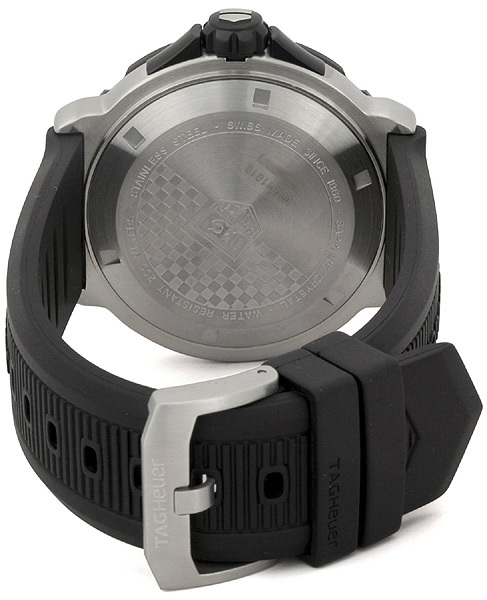 Their Formula One watches were inspired by some of the fastest, most precise drivers in the world—Formula One racers. Designed with sport in mind, the Tag Heuer Formula One WAH1010.BT0717 is a virtual classic that you’ll want to wear every day, at any occasion. This is not just an everyday watch, but an everywhere watch. There isn’t an occasion or event when where the Tag Heuer Formula One WAH1010.BT0717 will feel out of place. While it looks natural at any special event, it’s certainly durable enough to wear every day. The scratch resistant sapphire crystal dial window means it won’t scratch easily, and the heavy-duty rubber strap means regular wear and tear won’t tarnish the wristband. The dial features large, easy to read numbers, and a simple but eye-catching display. The hands and minute markers are luminescent, making it easy to tell the time at a glance, even on the darkest hours. There are a few things you should keep in mind before you buy this Tag Heuer Formula One WAH1010.BT0717. For one, the watch leans toward the bulky side, which may not be comfortable on smaller wrists. If you fall into this category, you may want to seek a watch with a more slender design. Additionally, drastic temperature changes may cause condensation to appear in the dial. The condensation shouldn’t become a permanent feature of the watch, but it may cloud the display for a short period of time. It’s easy to think of the Tag Heuer Formula One WAH1010.BT0717 as the James Bond of wristwatches. It can go directly from being at a swanky party to diving into the depths of a lake to driving fast cars around sharp corners, and still look as sharp as ever. It’s a watch that challenges you to make the most of it, and about the only question left to ask is, where will it take you?